A headline is THE most important element of any sales message. If you don't... well, they'll be gone in no time. And you'll probably never see them again - hurting your ROI and increasing your bounce rate. So how do you counter this? However, this is easier said than done, and most people tend to have a hard time coming up with a really strong headline. But how come? It's only a sentence, right? Well, in length, it is... however, in complexity, it's FAR more than that! That's because a headline is the entry point to your entire sales message. It needs to encapsulate the very essence of your sales message in just a few words! No wonder the top marketers spend about 50-80% of the TOTAL time it takes to write a sales page just on coming up with the perfect headline. 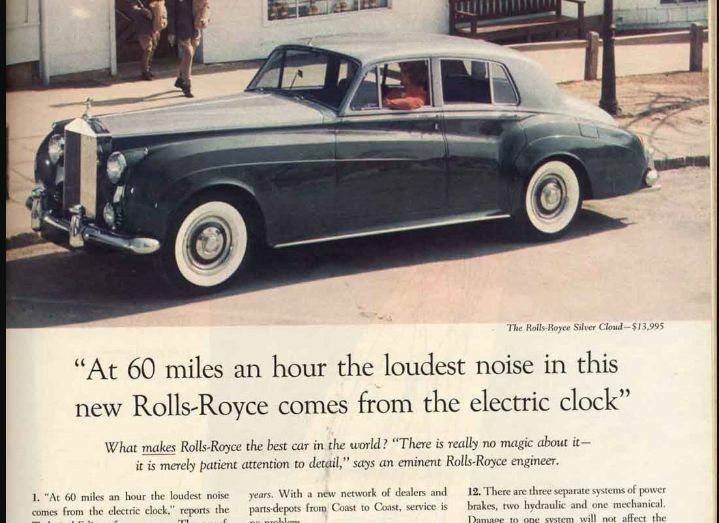 David Ogilvy, one of the brightest marketing minds who ever lived rewrote the following famous headline a whopping 104 times! And he was already one of the best copywriters ever when he did it. This shows you how much time & effort goes into crafting the perfect headline - and also explains why so many people are intimidated by it. But what if you don't have time for that? What if - instead of investing tens of hours into customer research, voice of customer data, and review mining, you just want a headline that works 90% as well - but can be crafted in just 5 minutes? Because I've collected 39 of the best headline formulas on the planet so that you never have to worry about bad headlines ever again. This list is based on decades of high-performing headlines that pulled in billions of dollars for the companies that used them. Want a great headline for your sales page? Now you can. Need something for that Facebook ad you're planning to run? I've got your back. Looking to increase email open rates with a killer subject line? Say no more! There's something for everybody here, covering every situation you may encounter. Just take a formula, fill in the blanks, and you're done. And with that, you're life just got waaay less complicated. In a nutshell: your product/service/topic you want to talk about NEEDS to be of interest to your target audience. Because I could hire the ghost of David Ogilvy himself to write me the perfect headline for a Hummer commercial, but it would mean nothing if my target customers were women who recently had a baby, for example. Case in point: Your target market needs to be a good fit for what you want to write about. Please consider this before picking any of the formulas: speak to the right audience with the right message, and you're golden! Now, with that being said, here's my collection of the 39 proven headline formulas that will help you shock anyone out of their zombie state and grab their attention instantly. Who Else Wants To ______ With ______? Example: Who Else Wants To Cure Acne With a Completely Natural & Safe Remedy? Example: Here's The Secret To Investing in Bitcoin. Seven Common_____Problems - Which Ones Do You Want to Overcome? Example: Seven Common Sales Page Problems - Which Ones Do You Want To Overcome? Example: What's New In Conversion Rate Optimization? They Laughed When_____- But When I_____! Example: They Laughed When I Sat Down At The Piano - But When I Started to Play! Do You Recognize the 5 Early Warning Signs of_____? Example: Do You Recognize the 5 Early Warning Signs of A Money-Wasting Facebook Ad Campaign? Example: Do You Make These Critical Website Mistakes? 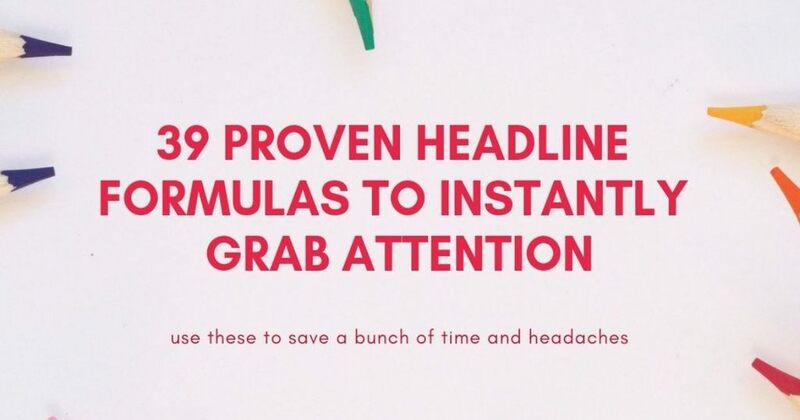 These 39 headline formulas will no doubt make your life much easier whenever you have to come up with any type of headline or subject line, however, I want to give you a few extra tips on how you can make the most out of them. Buzzsumo recently analyzed a whopping 100 MILLION headlines and they've made some interesting discoveries. They analyzed things such as: headline phrases that drive most engagement on Facebook, the optimum number of words, and even the most impactful numbers to use in headlines. Using of few of these insights together with the headline formulas mentioned above will no doubt give you an edge over your competition, and perhaps most importantly - finally empower you to write killer headlines, without wasting tons of time doing doing. Now you have everything you need for crafting bombastic headlines. The only thing left for you to do is to get out there start grabbing your leads' attention.